In the second half of last year, Microsoft updated its lineup of Surface Pro tablet notebooks with Intel’s seventh generation processors. It was available in no less than six different SKUs, and they were outfitted with everything from the low-power Intel Core-M processors to powerful Core i7 processors. Back then, we reviewed the Core i5 model and found it to be a decent performer. However, the Core i7 models were of special interest to us because it used a variant of the Core i7 that we seldom see in notebooks. 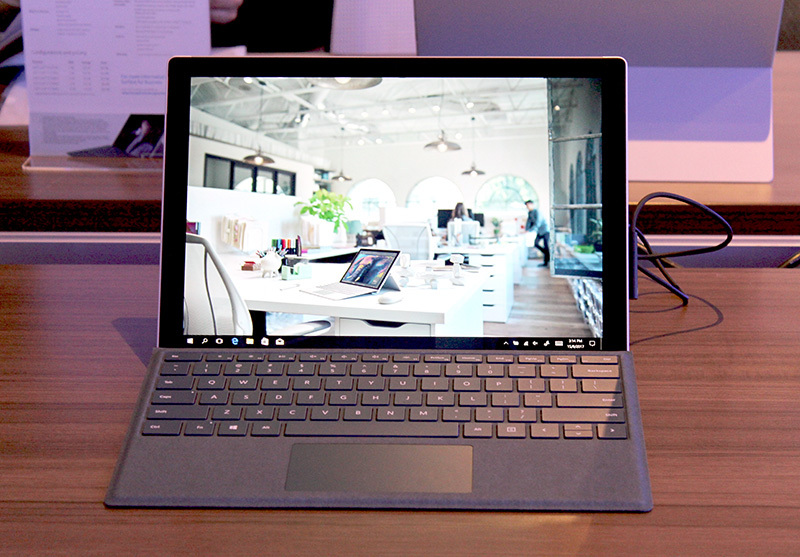 While most ultraportable notebooks were powered by the Core i7-7500U processor, the Core i7 variant of the Surface Pro used the Core i7-7660U processor. What’s interesting about the Core i7-7660U processor is that it features a more powerful integrated GPU. Specifically, it has the Intel Iris Plus Graphics 640 integrated GPU. Compared to the Intel HD Graphics 620 found in most other Intel processors, the Intel Iris Plus Graphics 640 boasts double the number of execution units and has 64MB of embedded DRAM to speed up buffering operations. As a result, the Intel Iris Plus Graphics 640 can achieve up to double the computing operations of the Intel HD Graphics 620. 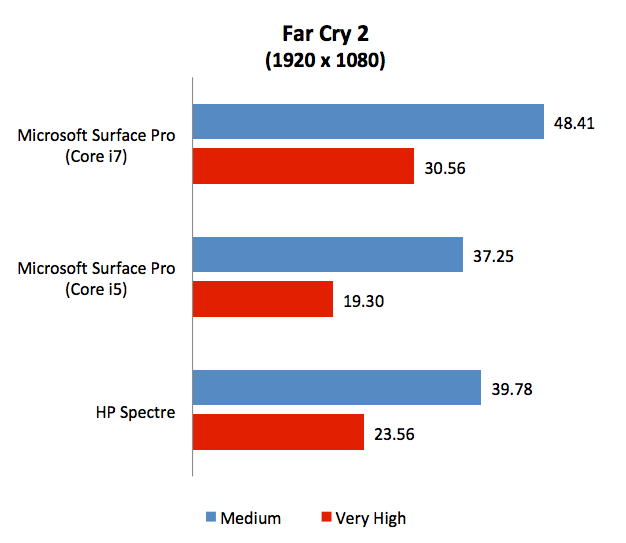 How this will affect graphics performance will be interesting to see. Here’s a table detailing the differences between the Core i7-7660U and Core i7-7500U processors. Apart from the processor, the only other differences between the Core i7 Surface Pro and Core i5 Surface Pro is that the former is slightly heavier - 784g vs. 770g - and that the Core i7 Surface Pro is equipped with a cooling fan. 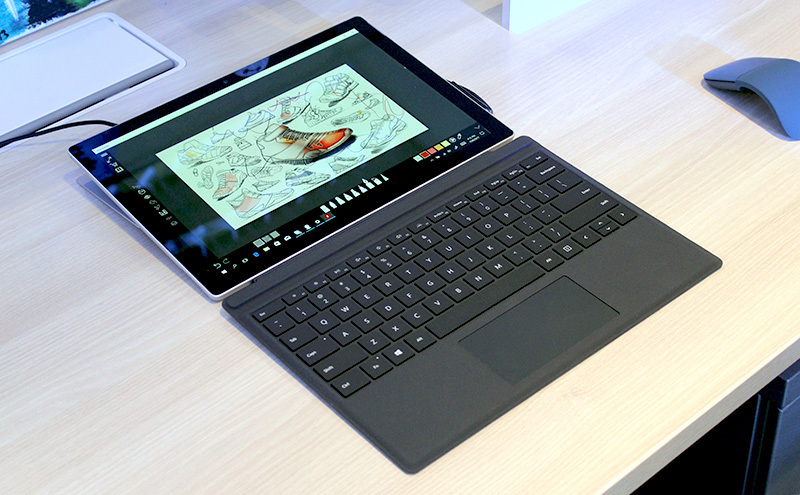 The Core i5 and Core-M versions of the Surface Pro are fanless. Otherwise, they are identical. 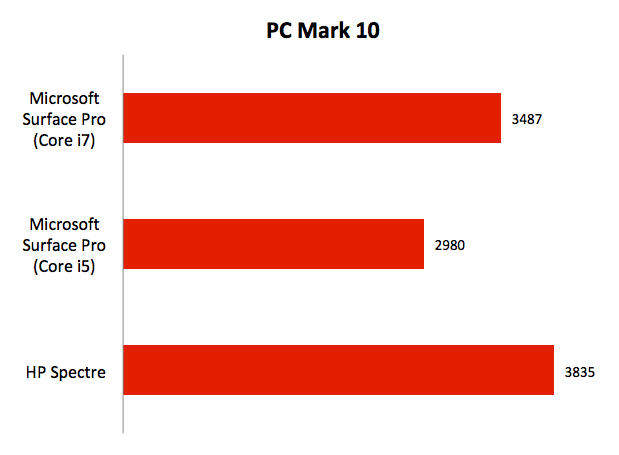 Let’s take a look at the results now to see just how much more performance you can get from the Core i7 Surface Pro. 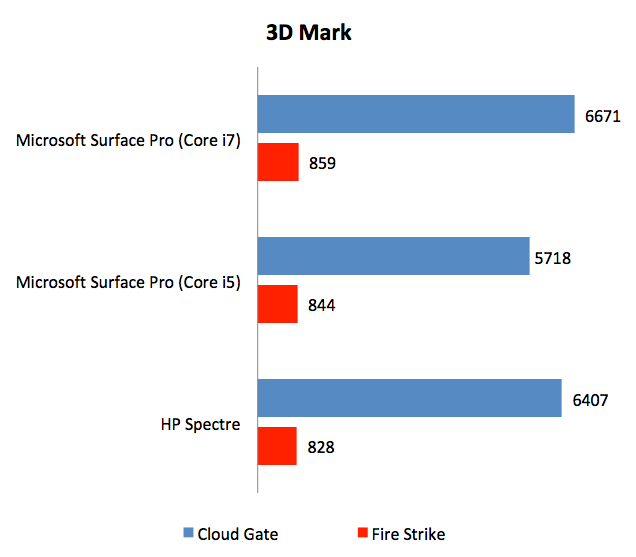 For comparison, we have included results of the Core i5 Surface Pro as well as a HP Spectre that's equipped with the latest eighth generation Core i7 processor (Core i7-8550U). 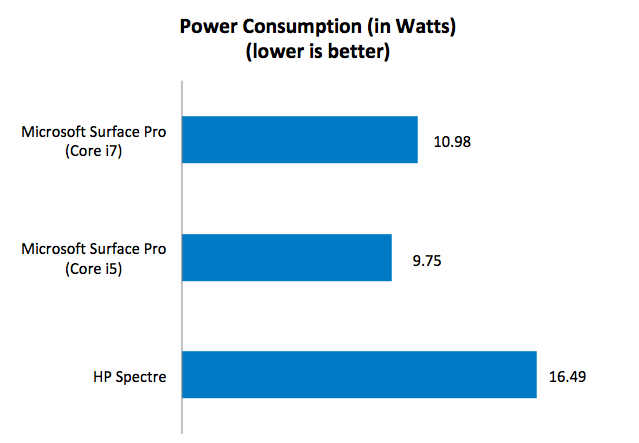 Let’s take a look at the results now to see just how much more performance you can get from the Core i7 Surface Pro. Just to be absolutely clear, our model comes with a Core i7 processor, 16GB of RAM, and a 512GB SSD. 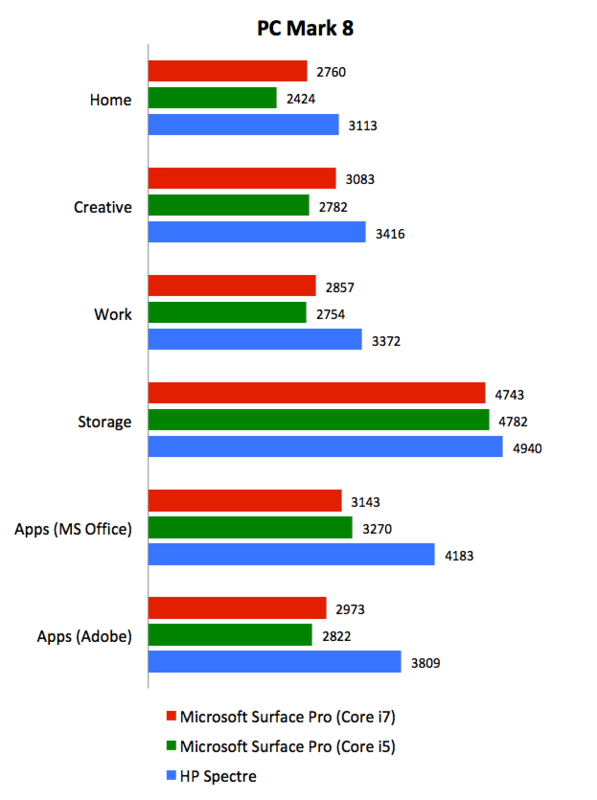 Unsurprisingly, the Core i7 Surface Pro leads the Core i5 Surface Pro in almost all of the benchmarks that we tested. The performance advantage in graphics benchmarks is particularly glaring, which demonstrates the prowess of the Intel Iris Plus Graphics 640 integrated GPU. However, what the benchmarks don’t show is how severe throttling can be on the Core i7 Surface Pro once it starts to get hot. Tomb Raider is a great example because the game engine is still running even after results are generated. So for systems that suffer from performance throttling, what we will see is that its performance will steadily deteriorate. While the Core i7 Surface Pro managed rather impressive frame rates at first, its performance continues to drop if we leave it on and heat starts to build up. In the first run in Normal mode, we managed an impressive 36fps. But after just 5 consecutive runs, its performance drops to just 12.8fps - a drop of over 60%. That’s not to say that the Core i5 Surface Pro is immune to performance throttling. Like the Core i7 model, the Core i5 model suffers from some performance throttling too, but the extent to which performance drops in the Core i7 model is quite alarming, especially when you factor in its asking price (more on this later). 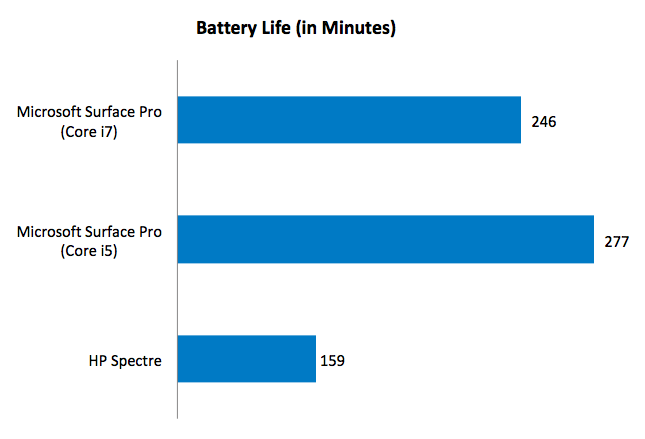 In short, the Core i7 Surface Prop is fast in short bursts, but cannot sustain its performance for long periods. To overcome this limitation, you'll have to forgo such thin and detachable laptop options and opt for something that's built to perform, such as a DTR-class notebook. That said, the price premium for the Core i7 processor is quite significant. Looking at the two most comparable SKUs (with 8GB RAM and 256GB SSD), one can expect to pay S$500 extra for the more powerful processor. 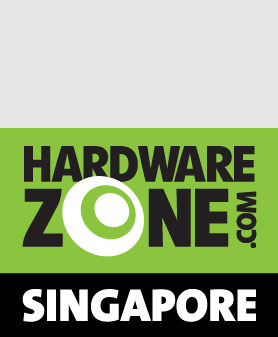 The model that we tested with double the SSD capacity and RAM comes in at S$3,188. Unless your pockets are bulging with spare cash and you feel that you must have the ultimate Surface Pro, we think the Core i5 model will suffice for most users. Though our particular Core i7 model feels speedier, we don’t think it is quite worth the premium that it commands, which, in case you are wondering, is a whopping S$1,400. That difference is enough to get you a MacBook Air. Here's a table detailing the prices of the various Surface Pro SKUs. 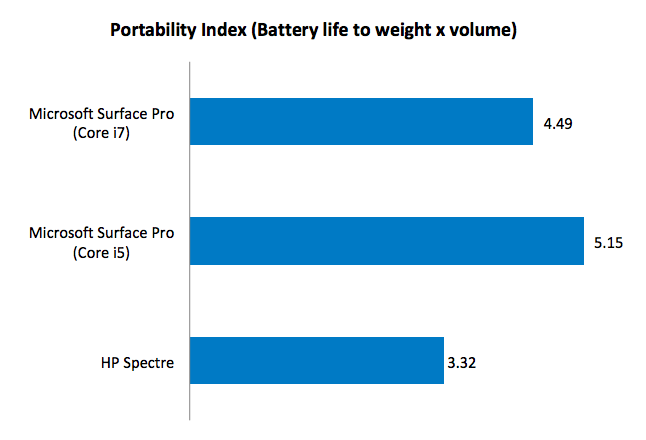 Also worth considering is how the Core i7 Surface Pro trails the HP Spectre in many benchmarks. The Spectre, of course, has the benefits of Intel’s newest Core i7-8550U processor, which has a quad-core configuration. 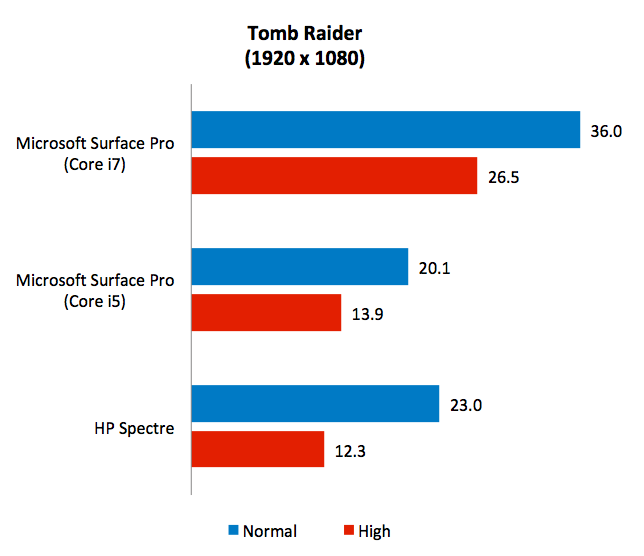 However, it goes to show further that the Core i7 Surface Pro just doesn’t offer the right performance to price ratio. In summary, if you must have a Surface Pro right now, the S$1,788 Core i5 configuration with 8GB and 256GB SSD that we've reviewed previously seems to be the sweet spot. Disclaimer: This review was made possible courtesy of Hachi.tech who loaned us a retail unit befitting the specifications we were looking to test.